The vision of this group is to be recognized for excellence in manufacturing and enterprise systems intelligence as well as applications that enhance productivity and competitiveness. The mission of the Smart Manufacturing and Lean Systems Research Group is to enhance the productivity of manufacturing and enterprise systems through modeling and simulation, optimization, statistical analysis and applicable lean tools. The group aims to add value to the organization by capturing system behaviors and addressing the root causes for operational excellence. The Smart Manufacturing and Lean Systems Research Group focuses on applied research and related activities. The Group collaborates with industry to develop and/or solve company specific problems. The research projects can be executed by either a research team or dedicated full-time or part time researchers who can work at the company site or at Lawrence Tech. Our faculty has an extensive background and experience in problem solving and has produced outstanding results. A research contract and IP agreement will be developed based on the company's needs and requirements. Our Group will work with the company to develop the scope of the project. Our research group will deliver the project at a fraction of the cost of what the company would be paying internally. This collaborative relationship between industry and the University has additional benefits including an opportunity for faculty and students to learn about real-world challenges and innovative solutions. Dr. Ahad Ali is an Associate Professor and Director of Bachelor of Science in Industrial and Operations Engineering (BSIOE) and Master of Science in Industrial Engineering Programs in the A. Leon Linton Department of Mechanical Engineering at the Lawrence Technological University, Southfield, Michigan, USA. He earned B.S. in Mechanical Engineering from Bangladesh Institute of Technology, Khulna, Masters in Systems and Engineering Management from Nanyang Technological University, Singapore and PhD in Industrial Engineering from University of Wisconsin-Milwaukee. Dr. Ali was Assistant Professor in Industrial Engineering at the University of Puerto Rico - Mayaguez, Visiting Assistant Professor in Mechanical, Industrial and Manufacturing Engineering at the University of Toledo, and Lecturer in Mechanical Engineering at the Bangladesh Institute of Technology, Khulna. He has published numerous journal and conference papers. Dr Ali has done research projects with Chrysler, Ford, DTE Energy, Delphi Automotive System, GE Medical Systems, Harley-Davidson Motor Company, International Truck and Engine Corporation, National/Panasonic Electronics, and Rockwell Automation. His research interests include manufacturing systems, modeling and simulation, optimization, reliability, scheduling and planning, artificial intelligence, predictive maintenance, e-manufacturing, supply chain, healthcare and lean manufacturing. 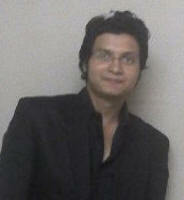 He is member of IIE, INFORMS, SME and IEEE. Dr. Ali has initiated Smart Manufacturing and Lean Systems Research Group. He formerly was president of the IIE Lean Division. Dr. Ali has been chair of the IIE Lean Student Paper Competition since 2007. He is the conference chair for IEOM Conference and editor-in-chief of International Journal of Industrial Engineering and Operations Management – A Journal of IEOM Forum. Dr. Alwerfalli is Professor of Mechanical Engineering and Director of Master of Engineering Management. He has over 30 years of industrial and teaching experience. Prior to joining LTU in 1990, Dr. Alwerfalli assumed many engineering positions at JNOFI Libya as Process Engineer, Production Manager and Senior Engineer. Dr. Alwerfalli is the founder of Manufacturing Engineering Solutions, Inc. a consulting firm providing technical support services to many manufacturing companies. Dr. Alwerfalli is very active consultant for the Automotive Industry. His technical assistance to many manufacturing companies was able to help companies develop effective Quality Management Systems, reduce waste and enhance productivity. He developed and taught several training courses, seminars and workshops in Quality Systems, Environmental Management Systems and Continuous Improvement for DaimlerChrysler, General Motors, Lionel Trains, DMU, CAMI, QPI, QUAD Industries, MDPITC and many others. Dr. Alwerfalli’s research efforts are published in several conferences at the national and international level. His areas of expertise include: Manufacturing Systems Design, System Integration/ Configuration and Optimization, Design for Manufacturing/Assembly, Quality Systems, Robotics and Manufacturing Engineering Education. Through his active research efforts, he was able to obtain several grants from SME, NSF, Ford Motor Co. and DaimlerChrysler in support of manufacturing engineering education at LTU. Dr. Alwerfalli is very active in curriculum and program development. He has recently successfully developed and launched the new Master of Engineering Management program at LTU and DaimlerChrysler. In recognition of his excellent achievements in teaching, Dr. Alwerfalli was the recipient of the “1997 Marl burger’s Excellence in Teaching Award” at LTU. Dr. Alwerfalli is very active in the engineering professional community. He is a senior member of SME, ASME, SAE, and ASPE. He is the faculty advisor of SME-LTU student’s chapter. He served for many years as member of the FOCUS-HPOE steering committee. He is the founder of the Engineering and Technology Council (ETC), an advisory council to the Arab American Chamber of Commerce (AACC). Dr Alwerfalli also serves on the Board of Directors of the Arab American Chamber of Commerce. Dr. Alwerfalli taught at AL-Fateh University in Libya, University of Detroit Mercy, and Wayne State University. Dr. Alwerfalli holds a Doctor of Engineering in Manufacturing, Master of Engineering in Manufacturing from the University of Detroit, Master of Textile Engineering from Georgia Tech. and Bachelor of Mechanical Engineering from the University of AL-Fateh in Tripoli Libya. Donald M. Reimer is currently a fulltime senior lecturer and Director of The Entrepreneurial Program in College of Engineering at Lawrence Tech. Mr. Reimer holds a Bachelor of Science degree in Industrial Management from Lawrence Technological University and a Master of Arts degree in Political Science from University of Detroit/Mercy. He is a Certified Management Consultant with over 35 years of experience in working with closely-held businesses. Mr. Reimer has served as an adjunct faculty member at Lawrence Technological University for over twenty-years. He has taught courses in entrepreneurship, management and corporate entrepreneurship and innovation for engineers. Mr. Reimer has operated his own consulting company – The Small Business Strategy Group for 23 years. He published numerous articles on small business, entrepreneurship and strategic thinking. Mr. Reimer conducted workshops and seminars for trade associations, chamber of commerce organizations and private companies. He has received several awards and recognition by local, state and federal agencies for his work in entrepreneurship and minority business development. Mr. Reimer served as member of the Minority Economic Development Committee of New Detroit. He is member of the Small Business Advisory Council, Detroit Regional Chamber of Commerce. Mr. Reimer is a member of Advisory Board of the Milwaukee Junction Small Business Assistance Center. He is also a member of the Applied Innovation Alliance. Mr. Reimer serves as a KEEN Fellow for The Kern Family Foundation and is a member of United States Association of Small Business and Entrepreneurship. Engr. 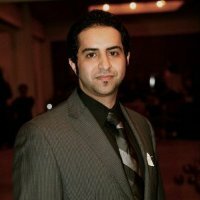 Ahmed Aljabr is a Doctoral candidate at the Engineering in Manufacturing System Program at Lawrence Technological University. Ahmed has been worked at the International Automotive Components (IAC); his role was to install a solar photovoltaic panel system within their facility from the design to the installation and after build process. He also worked at Whitlam Label Co. Ins; his role was to layout the travel distance to minimize the non-value added transportation time on their factory. He has plenty of training hours in deferent areas in Six Sigma, Lean Manufacturing, Project Management, Quality Management, Continues Improvement, Supply Chain Management, Optimization, Simulation, Strategic Planning, Operations Management, Communication, and Public Relation. Ahmed has involved with many organizations activates. In 2009, he was the President of Saudi Student Union, and in 2011, he became the President of the Arab-American Engineering and Architects Association. He is working now with Smart Manufacturing Research Group at the College of Engineering. He is a member of SAE, IIE, ASQ, ASME, LEI, IEOP, and SME. In 2010, he received an Exemplary Leadership Award, Best leader of the year from Lawrence Technological University. In 2011, he received an Outstanding Leadership Award from Saudi Arabian Cultural Mission, DC. He holds BS in Mechanical Engineering with concentration in Entrepreneurship and Manufacturing, MS. In Manufacturing System Engineering. ABASS AL-ENZI is a doctorate student of Doctor of Engineering in Manufacturing Systems (DEMS) at Lawrence Technological University. He earned Bachelor of Science and Master of Science in Production Engineering in Production Engineering from University of Technology, Baghdad, Iraq. Enzi was in the dean’s list and second in Ranking in college of engineering. He worked as Lecturer at the University of Technology, Iraq. Enzi has experience on metal cutting, metal forming, die design, CAD/CAM, Matlab, programming, LabVIEW, control, simulation and statistical analysis. He has published journal and conference papers. Enzi is a member of the professional societies. AYID ALQAHTANI is a student in Master of Science in Industrial Engineering program at Lawrence Technological University. 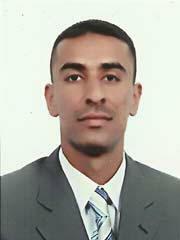 He has Bachelor Science in Industrial Engineering from King Khalid University, Abha, Saudi Arabia. Ayid has working experiences at Ali Osban Est. Trading & Construction Khamis Mushayt, Saudi Arabia. He has skills on project management, quality, production planning, arena simulation, Lindo optimization, and minitab. PARTH PATEL is a student in Master of Science in Industrial Engineering Program at Lawrence Technological University. He holds a Bachelor Degree in Mechanical Engineering from Visvesvaraya Technological University, Bangalore, India. He has attained an industrial experience working as a Mechanical Engineer at Apollo Construction Equipment Pvt. Ltd., Mehsana, India. He completed his training on Industrial Hydraulics at Rexroth Bosch Group, Ahmedabad, India. He has knowledge of ANSYS, AutoCAD, and Minitab. His expertise lies in CNC Programming, CIM Modeling and Arena. His research interest includes Manufacturing Process, Quality, and Six Sigma. Evan Sack is a graduate student in the Master of Science in Industrial Engineering Program at Lawrence Technological University. He earned an undergraduate degree from Michigan State University; majoring in Supply Chain Management and a minor in Economics. He is currently working as a Project Engineer at Superior Electric Great Lakes Company. His previous work experience is in supply chain and logistics management. His skill set includes Autodesk applications such as AutoCAD, NavisWorks, BlueBeam Revu; as well as Python, ProjectWise, Excel, and data analytics. 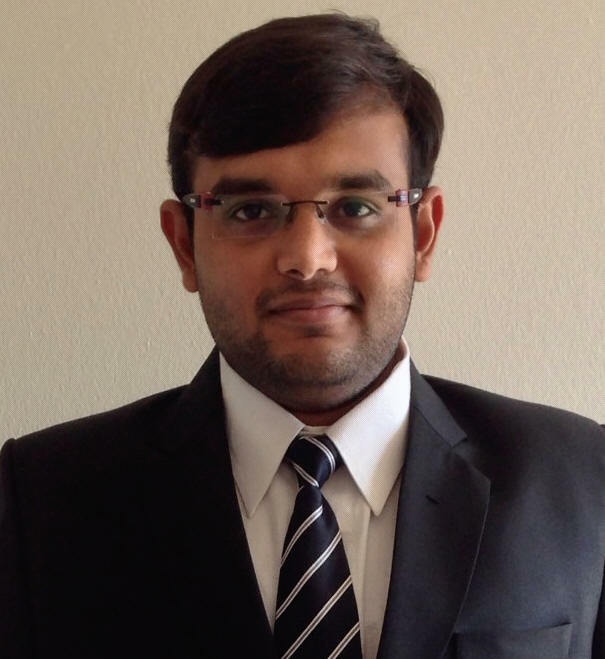 NIRAV SHETH is a student in Master of Science in Industrial Engineering program at Lawrence Technological University. Nirav holds a Bachelor degree in Mechanical Engineering from Pune University, India. He has attended a Geometric Dimension and Tolerance Workshop. Nirav has experience on design and quality at Ploytech Cooperation, Mumbai India. His research areas are optimization, productivity, 3D Solid Modeling (CATIA, Pro/E, Unigraphics, AutoCAD), and Microsoft Project Management. CLARENCE YOUNG is a student in the Master of Science in Industrial Engineering Program at Lawrence Technological University. Clarence holds a Lean Six Sigma Greenbelt certification and an Advanced Lean Principle and Tools certification from Purdue University, and a Six Sigma Blackbelt from Lawrence Technological University. Clarence also holds a B.S. in Mining Engineering from the University of Kentucky and a B.A. in Mathematics from Kentucky State University. 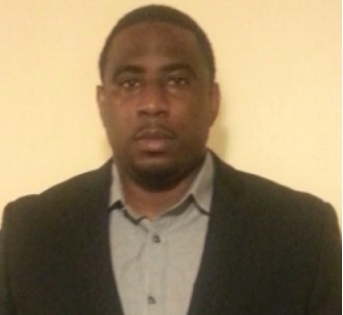 Clarence previous experience has been in education, engineering, and government contracting. His email address is cyoung2@ltu.edu. SUVRO SUDIP is a student of Bachelor of Science in Computer Engineering program at Lawrence Technological University. He possess an extensive knowledge of computer programming and software engineering. He also has skills in MATLAB, knowledge of CATIA and a go-getter attitude that would prove to be very positive to the group. Other than that, he has experiences in project management and consultation. He is also a web applications and mobile apps programmer and has developed web and mobile applications that make tracking and analyzing of various problems easier. A pre-symposium workshop on FMEA, June 5, 2013, 8:00 am - 12:00 noon. CEU available. Workshop on Geometric Dimensioning and Tolerencing (GD&T), 12:30 - 4:30 pm. The College of Engineering, Smart Manufacturing and Lean Systems Research Group's mission is to enhance the productivity of manufacturing and enterprise systems through modeling and simulation, optimization, statistical analysis and applicable lean tools.